Räuber-Kneißl-Garten is located behind the Maisach brewery in the town of Maisach, 25km north west from the centre of Munich. 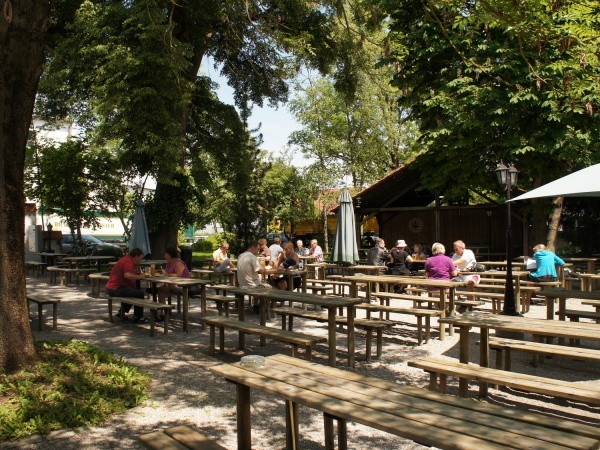 This small and charming beer garden is well shaded by large chestnut trees and a few sun-umbrellas. The fixed-to-the-ground tables offer about 350 seats. Small old fashioned street lights provide a cosy atmosphere during warm summer nights. The current leaseholder and head chef, Harry Faul, manages the beer garden and restaurant since 2007 and prepares a quality selection of Bavarian specialties. The food stall in the self-serviced area offers typical beer garden meals such as spareribs, Obatzda (Bavarian cheese specialty) and Wurstsalat (sliced sausage salad). The name “Räuber Kneißl” refers to a bandit named Mathias Kneißl who was born in the area in 1875. 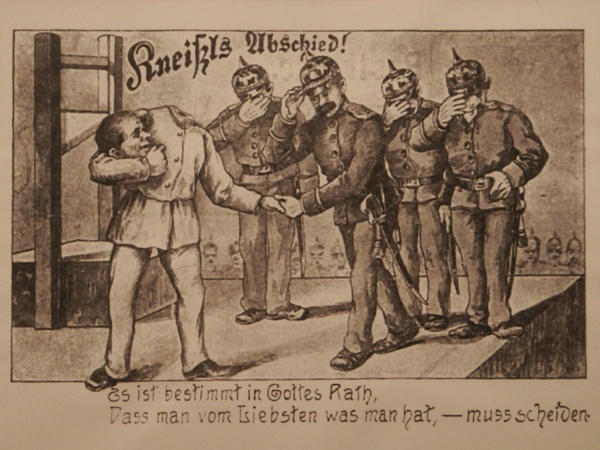 Mr Kneißl became famous for having caused the largest manhunt in Bavaria of the times while hiding in the forest. Mr Kneißl was eventually captured and sentenced to death. His last request prior to going under the guillotine was a wise decision - six Maß of beer! 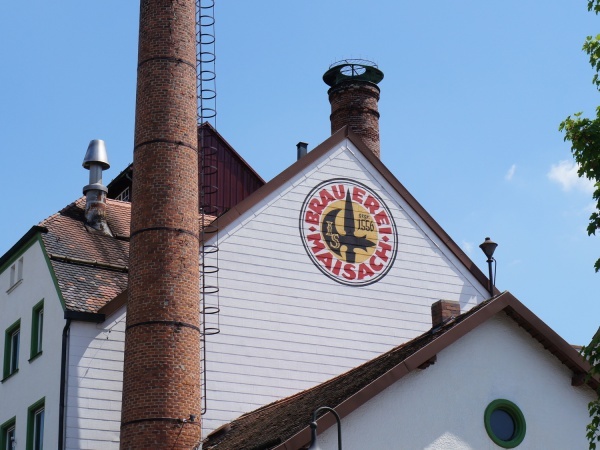 The Räuber Kneißl Dunkel (dark lager) named in memory of the infamous bandit is brewed according to an original and ancient recipe from the Maisach brewery. A Maß Dunkel or Helles costs €6.40 (April 2013) in the beer garden. Major football tournaments are shown live on a large screen in the beer garden. Live music events such as jazz and traditional Bavarian music take place on an stage in the beer garden on a regular basis. See the calendar of events on the Bräustüberl Maisach website. A small Räuber Kneißl museum in the cellar of the restaurant building includes various artefacts and memorebilia from the former times. Amongst others visitors can see original documents, Räuber Kneißl's bicycle and a guillotine. The beer garden is open during the summer season (usually May - October) and when the weather is good on weekdays from 4pm to 11pm and on weekends and public holidays from 11am. This page was last modified on 18 May 2018, at 18:47.